Built in GPS receiver ensures the highest accuracy for vehicle location and speed. Full Google Maps, Google Earth and Google Street View integration. High quality super-wide pillar-to-pillar viewing angle. Ready to connect to your telematics provider. 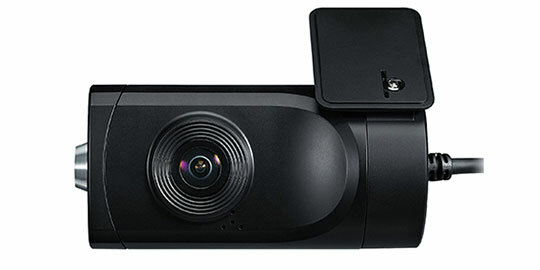 The VT1000 forward facing camera records in 1080p HD giving you a complete view of the vehicles in front of you. The built in GPS receiver ensures that accurate information of vehicle speed and location is recorded. The VT1000 is ideal to protect drivers against bogus claims or unjustified offence allegations. The combination of 1080p HD recording, high quality super wide pillar to pillar viewing angle, 3-megapixel CMOS senor and built-in G-shock sensor working together, ensures that the video quality is at its highest. The VT1000 is ready to connect with your telematics provider should that be required. This table is a guideline only. Actual results may vary depending upon a variety of factors on the road.